Whenever you are in the dollar store, make sure you go down the food aisle. Many times, you get lucky and find items that are much more expensive in the supermarket. You may even find gourmet items. 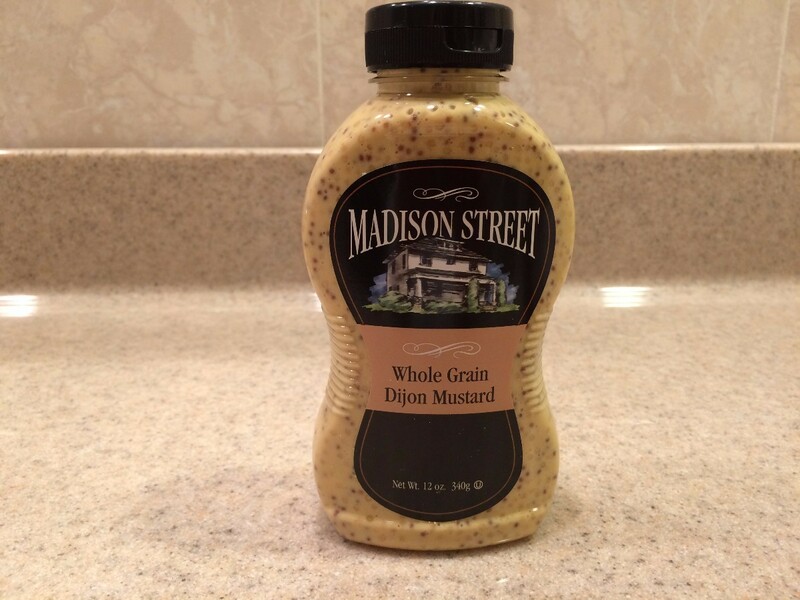 The picture here shows Dijon mustard, which I use for salad dressing and recipes, as well as sandwiches. It was $1 at the dollar store, and $4 and up in the supermarket. Two weeks ago, I found frozen blueberries, which are also over $4 in the supermarket. I have also found baking powder that retails for $2.69 , real chocolate chips and flavored coffee syrups. Judy, you are so right! We usually always hit the dollar store on our way to the "big" store as some $1 items could change my grocery list of "needed" items and save money.. Thanks - hope others can take advantage of this type of savings. The Dollar Stores in my area have done a complete turn around in the past few years. They are often higher than regular stores. There is an exception, Dollar Tree. I buy several canned goods there. Always just a dollar. They have some of the best pie fillings. The cherry is delicious! You have to know your prices for sure. Canned goods are usually less than $1 if they are on sale at the supermarket. Some items come in smaller packages and come out to be more expensive. I do get good deals on gift bags and greeting cards. I almost never buy toiletries there. I do much better at CVS with coupons and Extra Care Bucks. You can find cool things at the Dollar Store! Food items just like other items in the Dollar Tree can be tempting, however make sure it is something that is made and packaged in the US. I have heard of people getting sick from items they purchased at the Dollar Tree because it was a "product of" another country and they do not have the same safety standards as the United States does and they can be unsafe. I hope people will finally understand that the DOLLAR TREE is the one where all items are $1.00. The others like Dollar General & Family Dollar range from pennies to $10+. Also avoid canned & bottled items from China, please. Including those for our pets.